Another storm is brewing. This time, it is from the government yet again. They just proposed some new mortgage rule changes that may take effect in the Fall of 2017. Now before you read on, these rules are PROPOSED – they have not been implemented yet, but this gives us an insight into the government’s perspective on our housing market. Before I get into the meat and potatoes of this article, allow me to illustrate the rule changes that have happened in the last decade. • Disadvantaged first time home buyers with less than 20% down payment. Saving for the big down payment without the help of the bank of mommy and daddy can be difficult for some. • The rich got richer because the mortgage rules did not affect them. Video available here: Our Market After the Stress Test. Did it Work? Here is the crescendo of the article. 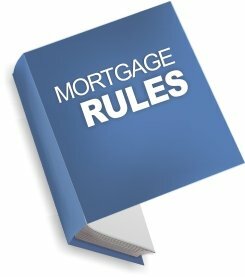 The following explains the proposed mortgage rule change that may come our way by the Fall of 2017. Are you ready for it? Ready or not, here it is below! • ALL mortgage applicants must undergo the stress test at a fixed rate. This fixed rate will be the rate that they are able to borrow against, but will not actually be paying for. In short, this basically means that they will test you at a higher interest rate, which in turn means that you’ll be able to borrow less. However, the silver lining is that your mortgage rate will not be at that higher fixed rate. You can still opt for a variable rate mortgage product. This proposed change is very similar to the introduction of the stress test that we saw last year but this year, the stress test would apply to EVERYBODY applying for a mortgage – not just the applicants with less than 20% down-payment. So what does this all mean? Well, effectively, everyone will be able to borrow less now regardless of the mortgage changes. No exact number, but I suspect ~20% less. Your $1 million borrowers may end up in the $800K range now. Will this put another damp on the real estate market? It could definitely slow it down again but similar to last year, this will mainly affect people who are trying to buy a home to live in. The “investors” who have money will still easily be able to tap their equity to buy properties with a snap of their fingers. Of course, this is all still proposed but with all of the recent changes, it tells me the Canadian government is worried about the level of debt that Canadians are in. So with all of this in mind, what should you do? Well if you’re buying or are closing on a property soon, I recommend trying to close before October. If you’re selling, you may lose a portion of your market depending on what price point your house is at. If you’re looking to buy right now, ask your lender to lock in your rates for 90 days. Previous Previous post: Interest Rates Went Up 0.25%… Oh no! What now?